Dr. (CA) M.K. Mahajan is the author of a Trust named Smt. Kaushalaya Devi Memorial Educational and Charitable Trust (Registered). Dr IT Group is created by the author of the Trust into an inspiring reality in memory of his mother, Smt. Kaushalaya Devi, and in fulfillment of the pious wish of his illustrious and philanthropist father, Late Shri Bodh Raj Mahajan.. 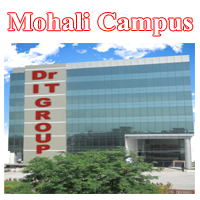 The IT Group (under the umbrela of the Trust) was promoted by the flagship company named Dr ITM Limited, an ISO 9001: 2008 Company, having facilities at Chandigarh, Mohali, Noida, Greater Noida, Jaipur and other places, in the field of IT, ITES, consultancy, information technology., management, insurance, etc. The Group is smart and vibrant in operations, and secular in outlook. 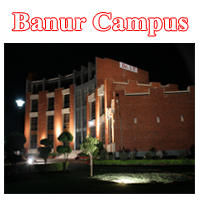 The campus at Banur (Patiala, close to Chandigarh) imparts high quality and holistic education – that is convergence and confluence of head, heart and hand)– mental, spiritual and moral – in excellent ambience with state-of-art infrastructure and modern teaching tools. 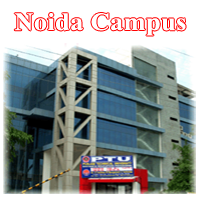 The Campus, under the dynamic owner-support of Dr (CA) Mahajan and overseeing of all curricular activities by the highly experienced Managing Director whose mentoring of faculty is continuous and innovative, and all together the campus has been providing qualitatively excellent education in a conducive and congenial academic environment. The Group is committed to continue to focus on the comprehensive and holistic development of personality of students and equip them with abilities to face the challenges of life and globalising market with confidence and enable them to create and sustain a better world around them. More emphasis is placed on the inculcation of high moral values smeared with ancient cultural ethos in the students, for which India is known since centuries, as the Group and all its functionaries fervently believe that education without morality and character is like a body without soul. Education not only enlightens one but also empowers an individual to do immense humanitarian good in the world with humility and passion. The Group has been established with the resolute intention of imparting quality education in the emerging fields of management and technology coupled with the inculcation of lofty human values. Individuals acting harmoniously and in unison, endowed with sharp intellect, a compassionate heart and skilled hands can make and mould the destiny of a nation. The Group is committed to provide the most modern and International level of professional education in undergraduate and post graduate calibrated programmes and diploma courses, responding to the requirements of the world of work. The Group prepares professionals who are articulate, dedicated, creative and innovative. Group is honoured by Indian Solidarity Council with “Glory of Bharat Vidya Gold Model Award” and a “Certificate of Excellence”. Conferred “Indira Gandhi Vidya Gold Medal Award” and Certificate of Excellence by International Institute of Education & Management (IIEM). Group is honoured with the “Best Institute” Award in the field of Education for the year 2011 by MSME (Regd. ), Punjab. Dr IT Group is just a few km drive from Chandigarh which is one of the best-planned cities in India, with world-famous architecture and elitist quality of life that is unparalleled. As the capital of the states of Punjab and Haryana, and also the seat of Chandigarh Union Territory, it is clean and green city, no doubt a prestigious city in India. The face of modern India, Chandigarh, is the manifestation of a dream that Pt. Jawahar Lal Nehru, India’s first Prime Minister envisioned and Le Corbusier executed to its minutest detail meticulously. Chandigarh is a rare epitome of modernization co-existing with nature’s endowment. It is here that the trees and plants are as much a part of the construction plans as the buildings, parks, green belts and the roads. Chandigarh is fondly called the cultural capital of the region. Many artists and writers live in the city. The frequently held exhibitions, and performances by singers, dancers, musicians and actors have ingrained among city residents a taste and augmented desire for the best in performing visual and plastic arts besides literary encounters. The foundation stone of Dr IT Group was laid in the year 2007 to focus on the comprehensive development of the students and equip them to face the challenges of life with confidence. The Group of Institutes offers MBA, MCA, BBA, BCA, B.Com (Honours), BMS in Airline, Tourism and Hospitality (ATH) programmes. Since its inception, the Group continues to remain focused on providing quality technical and management education with strong academia-industry inter-face. The under-graduate and Post-graduate programmes are affiliated to Maharaja Ranjit Singh Punjab Technical University (MRSPTU), Bathinda. Our MBA and MCA courses/programmes are approved by AICTE, New Delhi. The group has added another feather to its cap and that is setting up Dr IT College of Polytechnic, approved by AICTE and affiliated to Punjab State Board of Technical Education and Industrial Training (PSBTE & T) from 2010-11 academic session. We offer Engineering Diplomas in this college in Civil, Mechanical, Electrical, Electronics & Communication, and Computer Science. To harness the precious human resource for the welfare of country and the world at large. To prepare dedicated, articulated and innovative professionals by imparting quality education in the emerging fields, coupled with the inculcation of lofty human values.